Dry. Prairies, plains, bluffs. Full sun. This is an erect, perennial forb that rises up to 24″ on usually clustered stems from a taproot rhizome caudex. 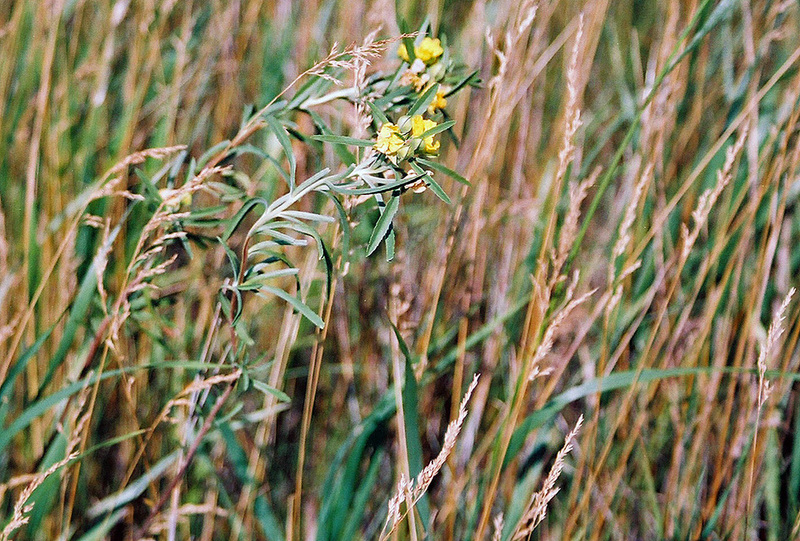 The stems are erect or recline on the ground with the tips ascending. They are grayish or whitish, at least above the middle, due to a covering of white, straight, stiff, appressed hairs. The are sometimes somewhat woody near the base. 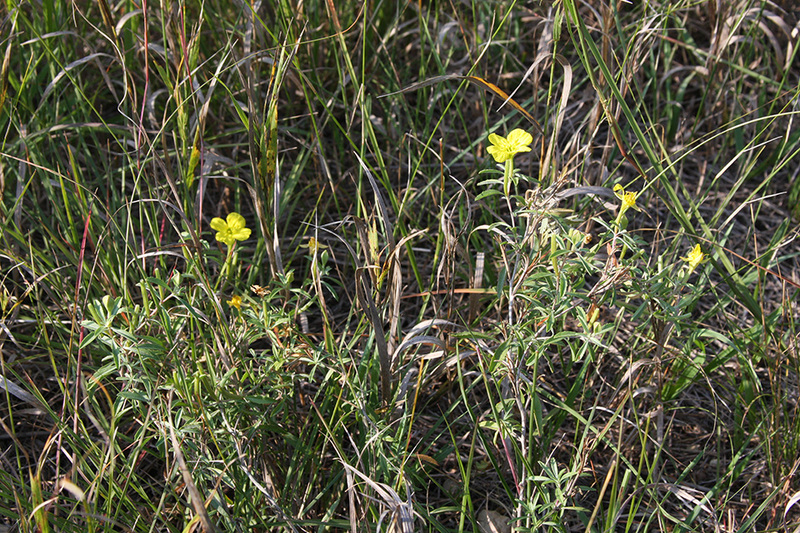 The leaves are alternate, ¾″ to 2⅓″ long, and less than ½″ wide, linear, oblong, or narrowly inversely lance-shaped with the attachment at the narrow end. The margins are sometimes untoothed but are more often toothed with minute, sharp, forward-pointing teeth. The upper surface is hairy or sparsely hairy. The lower surface is hairy. The leaves fold in the midday sun in order to conserve water. 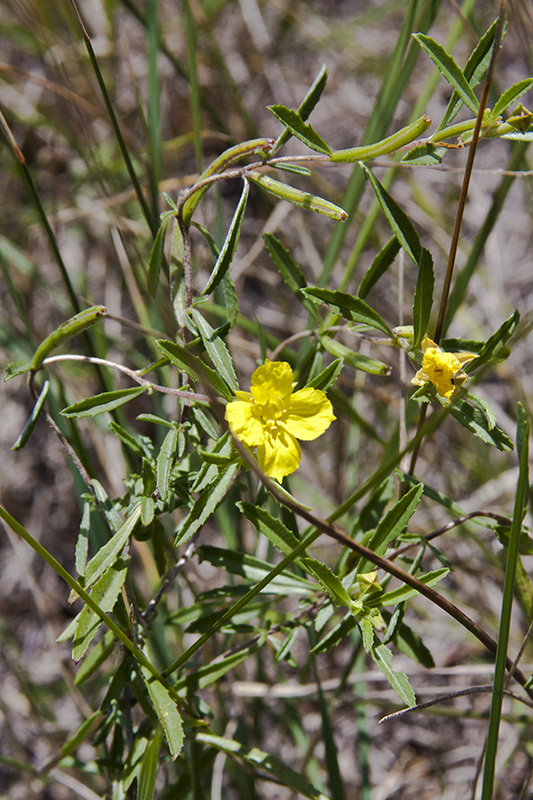 The inflorescence is a solitary flower borne in the upper leaf axils. 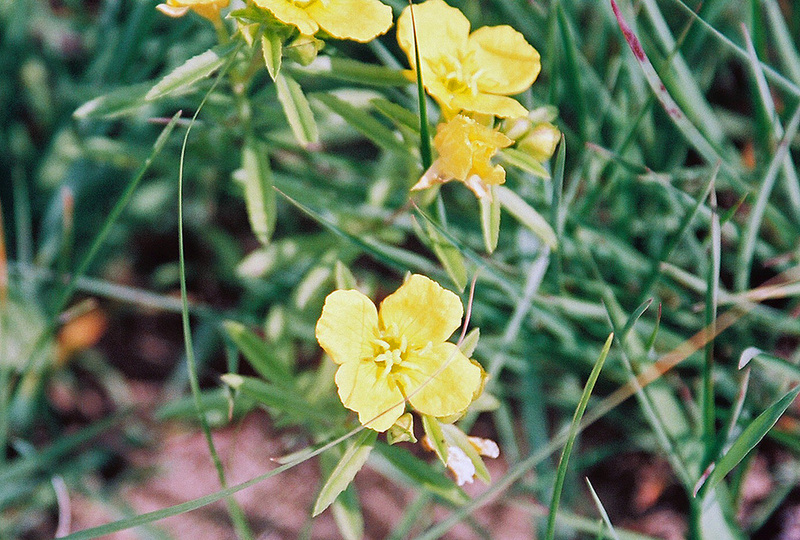 The flowers are ⅓″ to 1″ wide and stalkless. 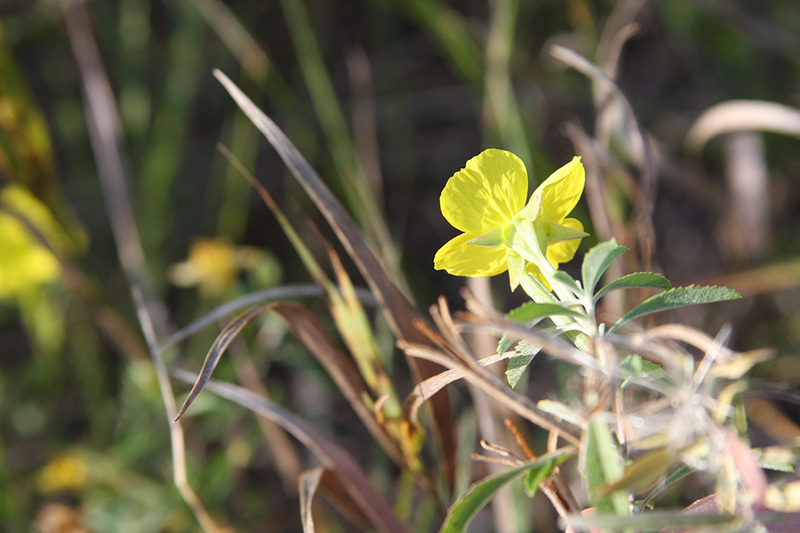 The 4 petals are bright yellow and are fused at the base into a funnel-shaped, ⅛″ to ½″ long hypanthium. The hypanthium is 4-angled and hairy, sometimes only on the angles. 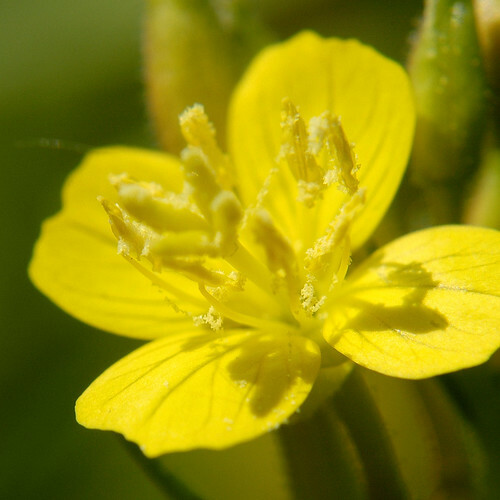 There are 8 stamens. The flowers open in the morning. The fruit is a linear capsule, ½″ to 1″ long, 4-angled with rounded angles, and whitish due to a covering of white, straight, stiff, appressed hairs. 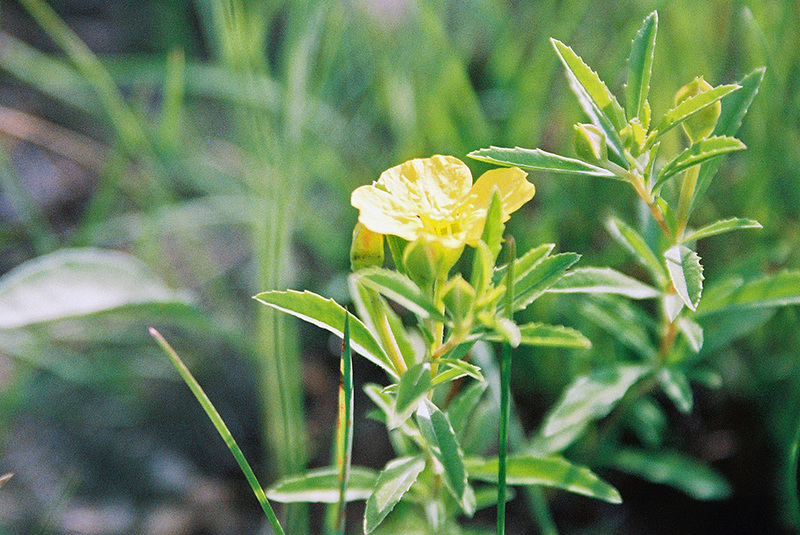 Sundrops were originally placed in the genus Oenothera when they were first described by Thomas Nuttall in 1818. In 1964 they were separated into thier own genus, Calylophus, by Peter Raven based strictly on morphological features, including a more or less shield-shaped stigma that was entire or only shallowly and broadly four-lobed. 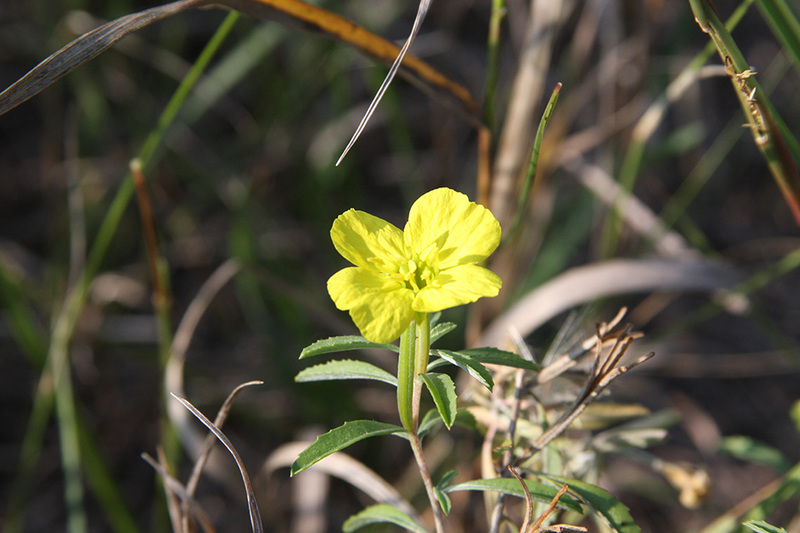 More recently, molecular analysis of the evening primrose (Onagraceae) family (W.L. 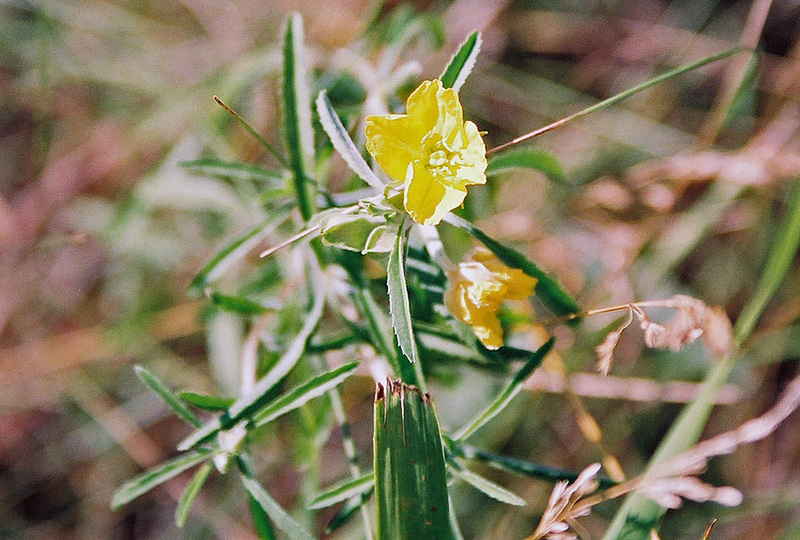 Wagner et al., 2007) showed that sundrops should be regarded as representing one of fourteen specialized groups within Oenothera. They are now classified as section Calylophus.